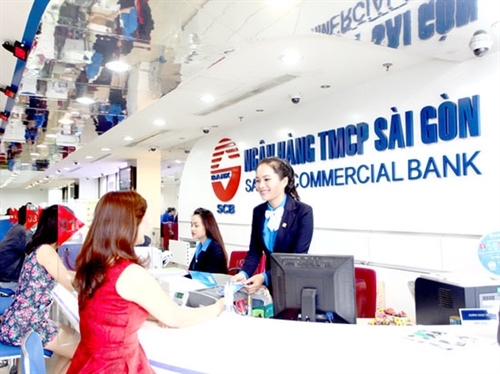 The State Bank of Vietnam (SBV) is gathering comments on a draft law revising the 2010 Law on Credit Institutions, which includes many provisions on special control. Under the draft, a credit institution would be placed under special control if: (i) it has lost solvency or is likely to lose solvency; (ii) it is in danger of losing affordability; (iii) its accumulated loss exceeds 50 percent of the value of its charter capital and reserve funds stated in the latest audited financial statement; (iv) it has been rated “poor” for two consecutive years; or (v) it fails to maintain capital adequacy ratio within one year or has this ratio fall below 4 percent for 6 consecutive months. The SBV would also consider and decide to place a credit institution under special control when such is proposed by the banking supervision agency or at the request of the credit institution. The draft law also defines the competence of the Government, Prime Minister and SBV to handle and restructure credit institutions placed under special control. Accordingly, the Government would approve a plan on bankruptcy or compulsory transfer of credit institutions placed under special control. The Prime Minister would decide on a plan for recovery and handling of commercial banks, cooperative banks and finance companies under special control and set out special loan amounts at preferential interest rates for credit institutions under special control, except the bankruptcy plan. Meanwhile, the SBV would approve a plan on recovery and handling of people’s credit funds and microcredit institutions. The draft says that subject to compulsory transfer would be credit institutions that cannot formulate a recovery plan or do not have such plan approved or cannot be recovered despite having this plan approved. Credit institutions would also compulsorily be transferred if they cannot change the legal person status or have a negative real value of charter capital and reserve funds, or when there are other credit institutions or investors applying to become the transferees. The draft adds rights of the credit institution designated as the transferee. Specifically, this transferee may own the whole charter capital but may not consolidate financial statements of the transferred credit institution. It may also exclude the transferred credit institution when calculating the consolidated capital adequacy ratio, and may sell and issue shares of the designated credit institution to foreign investors. Under the draft, SBV would decide to terminate special control for a credit institution that has redressed the causes making it be placed under special control; has been merged or consolidated into another credit institution during special control; has carried out a plan on transfer of all shares and contributed capital amounts to another investor and redressed the causes making it be placed under special control; or has been handled under bankruptcy procedures.